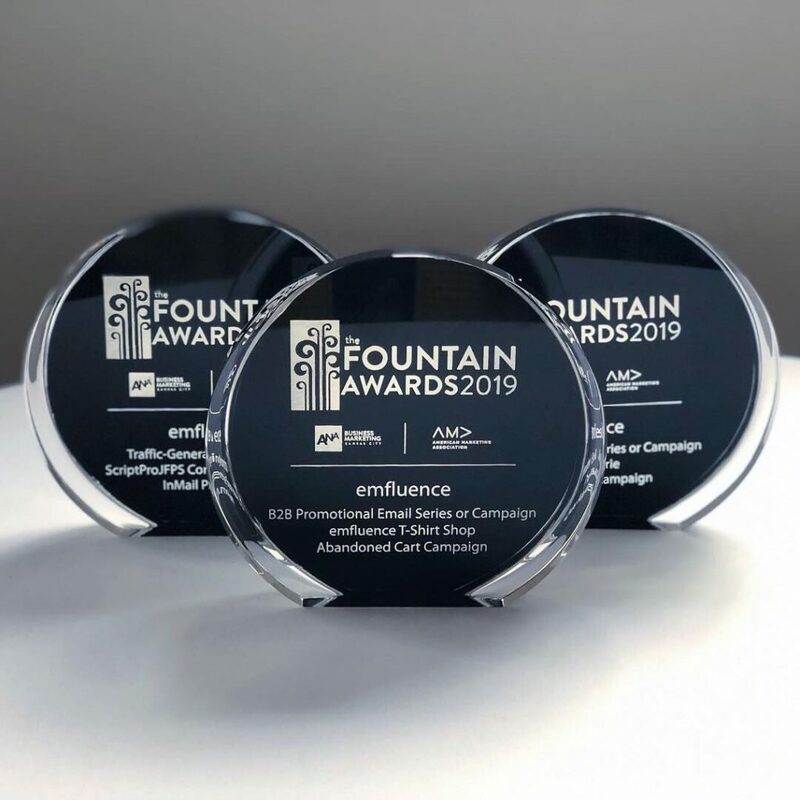 emfluence celebrated another successful year of award-winning work at the 2019 Fountain Awards. 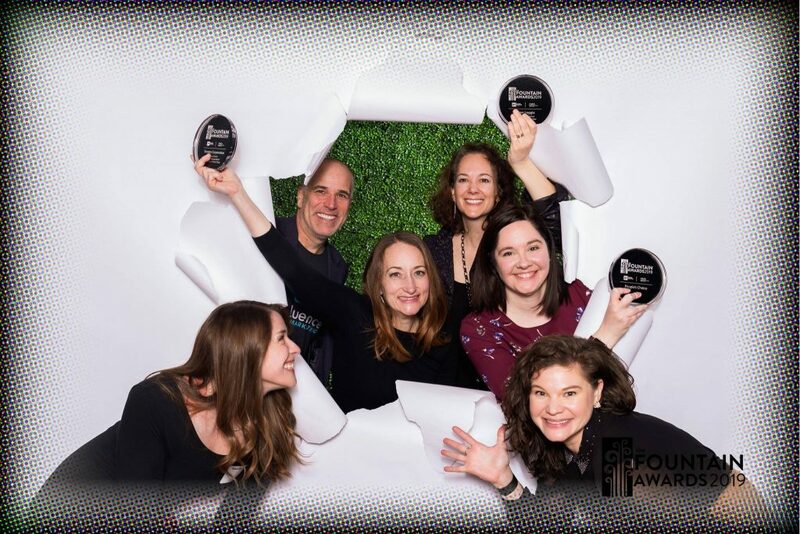 Hosted on March 7th by the ANA Business Marketing Association of Kansas City and the Kansas City Chapter of the American Marketing Association, The Fountain Awards focuses on awarding results-oriented marketing campaigns from agencies and brands in the greater Kansas City metro. Leveraging LinkedIn Sponsored InMail, ScriptPro and emfluence teamed up to increase trade show booth foot traffic at the JFPS Conference–one of ScriptPro’s key conferences of the year. With a goal to beat last year’s award-winning Cyber Monday email campaign results, The Roasterie worked with emfluence’s Account Management team to tweak and improve this year’s Cyber Monday email strategy. 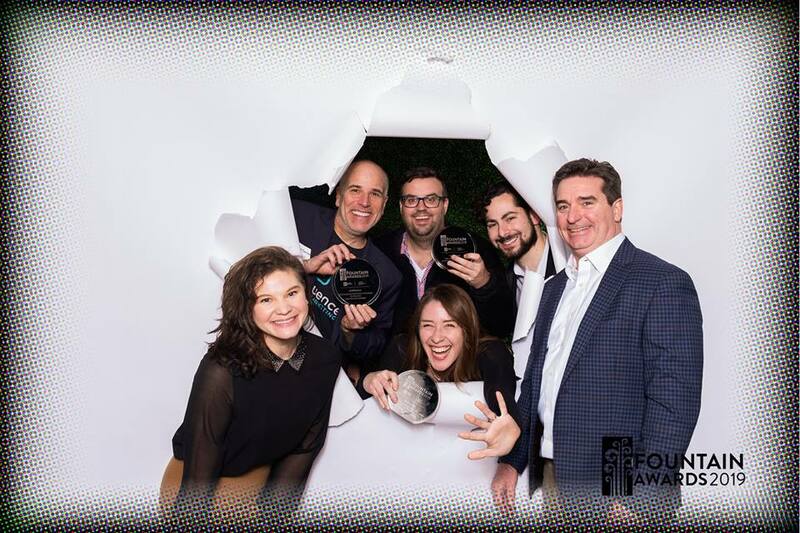 emfluence’s homegrown B2B abandoned cart email series took home the top category award for B2B email marketing. 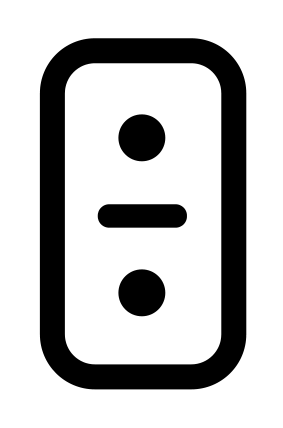 This campaign is attached to the emfluence T-Shirt Shop and is designed to showcase abandoned cart email best practices. Check out the abandoned cart series for yourself here.